Wait, I know what you're thinking (you probably aren't thinking anything though XD), what LOVE got to do with the theme of the month? Isn't it supposed to be a SHOUNEN ANIME songs month? Well... indeed, but it really makes sense, cause this song, is both a love song, as well as the ending to one of the well-known popular shounen anime of all time. I'm not a avid fan or a follower of the anime/manga. 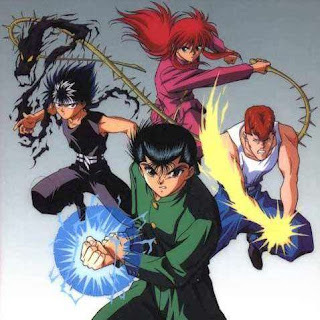 As many of you perhaps already knew, that I'm not a fan of anime/manga with a long and winding story, so Yu Yu Hakusho suffered my attention nothing less than that. 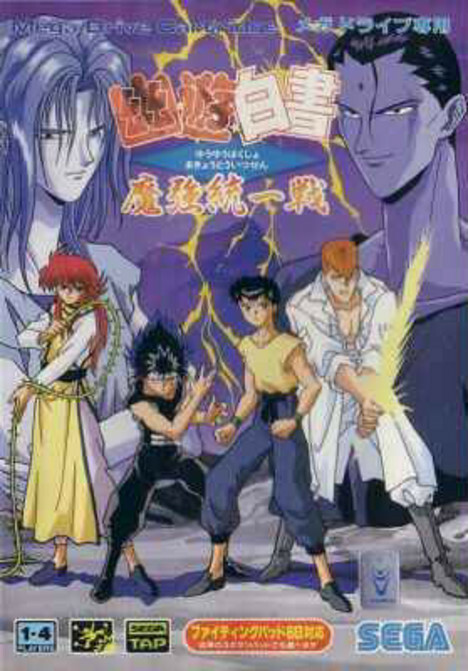 I even never cared about it, until when in early 90s my (late) Dad bought me "Yu Yu Hakusho: Makyo Toitsusen" for my Sega Mega Drive console. 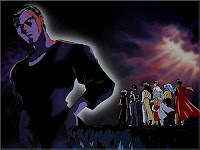 That was my very first encounter with the series, and let me tell you just one thing! It was one of the best game I've ever played in my whole gaming life. I'm completely stoked with the awesome gameplay, which at that time, also has one of the best graphic and animation for a fighting game. Not just me, my families (cousins and all) also enjoyed it soooo much, we always arranged a small 'tournament' and showed off our 'spirit blast' techniques. It was a very nostalgic experience that will never fade from my heart, and THAT is LOVE for me XD. The lyrics of the song said it all. It's a song by a guy, who is in a relationship with a girl, but she is faking her feeling cause she still in love with her past love. Unbalanced kiss, means being done by two person who are not totally in-sync with their feelings. The man however, truly love the woman deeply, so he chose to hide his hurting heart, keep it tight from other's notice, while he can only wish that his unbalanced kiss will eventually change into real love. Ouuuch... Ganbatte nee! I guess that's what happens when a guy felt that he had discovered his one true love. Packed in a very catchy and groovy 90s pop-beat, no wonder it was a hit on the music chart. I still don't understand how it relates to the anime/manga though, but I guess it was speaking about Keiko Yukimura's feeling for Yusuke? But the seemingly love between them is DEFINITELY not unbalanced. Anyway, so it's a love song right? And eventhough it's not exactly speaking about the nicest plot in the 'love' industry, it actually describes one of "Valentine"'s best traits. The real Valentine's Day, was actually commemorated through real life broken love, since the actual lovers (St. Valentine & lover) in fact never managed to win their love, and were separated by death instead. He did however, made other's marriages possible through his blessing, and this was what triggered the over-rated declaration of the 'day of love'. The same thing is actually happening in the present time. Eventhough there are millions of people who have found their own half, there are also tons of people who suffered, devastated and heart broken for their unreckoned unanswered or unrequited love. There are even many who are celebrating over other's griefs of love. Even Japanese celebrated Valentine Day as the day when a girl gives present (commonly in form of hand-made chocolate) to the guy she liked, and only hoping to get the opposite reply on White Day. In the end, most of them are usually emotionally crushed with the fact, that they aren't accepting anything in return. A very 'Unbalanced' situation, don't you think?